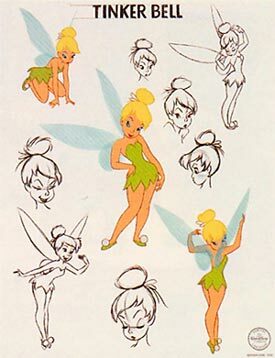 This edition captures the many personalities of Walt Disney’s famed fairy Tinker Bell. The background is a fine art lithograph recreating several model sheet poses based on artwork used in the original film. This fine art Limited Edition Sericel conveys the rich color and remarkable detail with separately screened colors.